UPDATE: Though the original story did not mention it, I sent numerous requests to Dan Busby for an interview through his agent, Anna Hutstell of the public relations firm DeMoss. Instead of an interview, Hutsell sent me the ECFA statement cited in this article. Given that the ECFA and Busby’s platform rely on trust and integrity, one would expect Busby to be above reproach. Yet according to the Virginia Board of Accountancy (VBOA), Busby was fined $9,000 in 2016 for the unlicensed use of the CPA (Certified Public Accountant) title on at least 38 publications, his personal website, the ECFA’s website, and the Church Law & Tax website. The VBOA also required Busby to pay an additional $1,000 administrative fee to cover the VBOA investigation. And the board ordered Busby to remove the CPA title from all “signage and any and all listings” until Busby again became licensed. According to the complaint submitted to the VBOA, Busby allowed his CPA license from the state of Kansas to lapse in 2000, two years after moving to Virginia. Then from 2000-2015, Busby was not licensed as a CPA, though he repeatedly claimed he was. In December 2016, Busby obtained a CPA license from the Virginia board, which remains active. I contacted Zondervan for comment, but the publisher did not respond. Busby was also listed as a CPA in ECFA newsletters between 2000-2015, as well as on multiple websites, the National Directory of Registered Tax Return Preparers and Professionals, and Busby’s LinkedIn account. Brian Taylor, a former CPA who now works for a small consulting company in the Dallas/Ft. Worth area, sent me the VBOA complaint, which he said he researched and submitted four years ago. Taylor noted that Busby had worked as a CPA for 31 years before coming to the ECFA, and said his misrepresentation was intentional and inexcusable. In his complaint, Taylor also asserts that Busby’s misrepresentation was especially egregious because of his position with the ECFA. “The Virginia Board of Accountancy must take into account that Mr. Busby is not just a simple tax preparer who didn’t keep up on his CPE (continuing professional education),” Taylor wrote. Recently, Busby and the ECFA have come under increased scrutiny for its longstanding accreditation of Harvest Bible Chapel, despite glaring financial improprieties there. Last Wednesday, I confronted the ECFA publicly for accrediting Harvest. And on Saturday, the ECFA finally suspended Harvest’s ECFA accreditation. But the Harvest debacle has raised questions concerning the ECFA’s effectiveness to hold member groups accountable. The statement added that Busby “has never held himself out as offering public accounting services as a Virginia CPA.” And it noted that Busby has since completed more than 180 hours of continuing professional education and settled the matter with the Virginia Board. “Dan is glad to have the matter resolved and he deeply regrets the oversight,” the statement said. However, the ECFA statement is not completely accurate. To use the title of CPA in Kansas, one must obtain a CPA certificate, as well as a permit to practice. Though Busby had an active Kansas CPA certificate from 2000-2015, his Kansas permit lapsed in 2000, and remains lapsed. Also, according to the AICPA, “any action initiated by a member that informs others of his or her status as a CPA . . . constitutes holding out as a CPA.” Not only did Busby use the CPA designation from 2000-2015 on his website, bio, and in his books, he also prepared the ECFA 990 tax returns and was listed as a CPA in online directories. Interestingly, Busby’s base salary at the ECFA in 2015 was $193,218, according to the ECFA 2015 990 tax form. However, in 2016, the year of the Virginia board sanction, it jumped 26-percent to $242,563. And in 2017, the last 990 available online, Busby’s base salary was $254,979. One of the seven areas covered in ECFA’s seven standards is compensation setting for leaders of its member organizations. The other standards deal with use of resources and compliance with laws, doctrinal issues, governance, financial oversight, transparency, and stewardship of charitable gifts. ECFA President Dan Busby learned in 2015 that he was not in compliance with Virginia’s accountancy laws in connection with his use of the CPA designation. While Dan’s use of the CPA designation complies with the laws of Kansas—where he was originally and still is certified—he had no idea that his use of the designation could possibly not be in compliance with Virginia law. Dan, of course, was mortified to learn of any possibility that he was not in full compliance as he has made it his life’s work to help organizations pursue integrity. He has never held himself out as offering public accounting services as a Virginia CPA. The matter was settled with the Virginia Board of Accountancy in 2016, and Virginia issued him a license to practice accountancy—and thereby the privilege to use the CPA designation. He completed more than 180 hours of continuing professional education in 2016 and 2017 (in contrast to the required 40 hours per year). Dan is glad to have the matter resolved and he deeply regrets the oversight. ECFA’s board of directors was fully apprised of the matter as it developed and continues to wholeheartedly support Dan in his role as ECFA president and in all his endeavors. I am so surprised! NOT!! So the $9k penalty was a slap on the wrist. You simply cannot make this stuff up… what a lying shyster! One criminal organization HBC sleeping with another criminal organization ECFA … two perfect soulmates made in hell. PLEASE keep up this amazing work! Well what do we have here? Such a cute little WOLF ! Baaaaaaaaaaaad! Hey everybody, just so you know , I did a search — “who created ECFA” and I used DUCKDUCKGO to do it , did you know that JULIES BLOG came up 2nd!!!! after Wikipedia ? Well it did , so then I said to myself ,let’s try google , well wouldn’t you know it JULIES BLOG could not be found in the first 10 pages!!!!!!!!! Everybody needs to start thinking about what the big industrial complex world system of North American church is all about and RUN RUN RUN AWAY! David, a search engine shows the topic you are seeking and in order of preference and latest entry. Thus Julie Roy being 2nd doesn’t mean anything that you are trying to instigate to no avail. Thank You in trying to look smart with minimum effort. First, everyone must understand that CPA’s are the LAST LINE OF DEFENSE against evil and immorality. In a business deal, the CEO, the Sales guy, the COO, even the HR person, can stretch the truth, exaggerate, spin tall tales to convince the world that the company is doing fine to keep the game going. The CPA is bound by professional ethics. If they violate their ethics, they are done for. Our society depends on the ethics of CPAs to be the one person, often the last person in the room to say, “No, we can’t do that, that’s dishonest, that’s fraudulent, that’s wrong to lie/hedge/spin/not tell the truth” to the SEC, the investors, the customers, and employees. A CPA can get into some borderline ethical situations. But this was not borderline. This is fundamental. This is lesson #1 of being a CPA. You have to have a license. If you practice without a license, you are guilty of ethics violations, misrepresentation, and fraud. The licensing of CPAs is to protect the PUBLIC GOOD. CPA’s play a very important role in society. If every CPA was lying, the entire stock market around the world would crash. The world’s economy would collapse. CPA’s can’t lie about anything in business. If they’ll lie about the fact they’re even a CPA, what does that say about ANYTHING ELSE they say? They can’t be trusted. Ever again. With Busby, it was a 15-year pattern of intentional misrepresentations to sell books and get rich. This was no accident. It was intentional. He lied to get the job at ECFA. ECFA apparently didn’t check his license, or didn’t care, or worse, thought him lying about it was a good idea. This tells me that NOBODY on the ECFA board or workforce knows right from wrong. They are in concert in protecting the wolves to fleece the flock. The idea that ECFA is a watchdog group is a TOTAL LIE. They are bigger crooks in some regards, that the megapastors who enrich themselves. They are like corrupt cops and politicians. We trust them, they preach trust, and they have been lying all along. They serve themselves. This needs to be shouted from the rooftops! The reason this is a ‘big deal’ is that if the CPA’s in our society are corrupt, then the whole society becomes corrupt. So when not just any CPA violates ethics, the one CPA who sits ON TOP of the Christian ECFA mountain, who is the top guy who tells everyone else that they have to follow ethical principles, who says you must have integrity, the guy who wrote a book called TRUST, because he claims to believe in God and the Bible, and the ECFA’s mission isn’t just accounting records and financial statements, their stated mission is to help evangelize the world for Jesus Christ – when THAT GUY is found to be corrupt, for 15 years, lying about his personal record, his professional accreditation, his raison dete, it’s a MASSIVE CREDIBILITY CRISIS. Busby must resign. These guys are supposed to read the bible, believe in the bible, preach the bible, and obey the bible. None of that is true. It’s all lies. After Busby lies and cheats, the door is WIDE OPEN for everyone else to just lie and cheat, and do it in the name of Jesus. It’s sickening. So not only does business and commerce crumble away, the church crumbles away, and civilization crumbles away. We need to call out the ECFA, their board for backing Busby, and his co-author Van Drunen for standing by and profiting off of Busby’s lies to enhance their book sales and personal profits, all while claiming to be the guardians of ethics and integrity and believers in Christ. The State of Virginia thought it was a big deal. They fined him $10,000, which is a very large fine for that agency. The State of Virginia confirmed the facts that Busby profited off of books that falsely claimed he was a CPA when he knew he wasn’t. amazing comment. I second all of it. Concerned Citizen … I’m sorry, but as a CPA I can assure you that the idea that CPAs are a last line of defence against evil is bizarre, likewise the claim that if CPAs are corrupt then our whole society becomes corrupt. The idea that some Code of Ethics will make a person lacking integrity behave honestly is simply naive. CEO, COO, CFO, CIO, etc. are all positions/roles, not professional designations. A CPA could be employed in any of those roles and there is no reason to believe that he/she would behave with any more (or less) integrity than somebody who does not hold a professional designation. Integrity comes from within, not from without. Not having to abide by a particular Code of Ethics will not make a person of integrity do wrong and expressing adherence to a Code of Ethics will not make a person lacking integrity do right. God is exposing a lot of people with evil intent during this. My prayer is the justice will come for these people who mistake Gods family for easy prey. This is an unbelievable story. Imagine the head of an accounting org not being a CPA! And they say they are Christian?? No wonder they couldn’t find any irregularities at HBC. ECFA has every reason to whitewash ministries and say they are complying with ethical standards. If they kick out an organization, that’s a loss of revenue that effects their bottom line. As long as the ECFA seal is up, donors keep giving and both that ministry and ECFA make bank. What a bunch of crooks! So he had a CPA license in Kansas during this time but let his permit lapse, didn’t have a License in VA , but has since corrected that, prior to this article…. So he is a CPA, that seems confirmed, question is, is he a good one and is he good at what he does currently and should he be in charge of the ECFA. What was extremely disappointing was the continued certification of Harvest by ECFA, that finally came to end, hopefully for good, as their finances are much worse than what is public, I believe. I appreciate so much of what Julie has written, and I hope continues to write, at the same time as believers we also must choose our words carefully. I have read a lot of pain in the comments sections of her posts and understand why and pray for healing. I do believe the pain is greatest for those who have misplaced their hope and faith in man’s church and man’s leadership, instead of Christ and His word. The problems with JMac have been known from the start, his temper, and I’m sure other traits, were there in the beginning, people in leadership and in the congregation can claim they were duped now, I just find that to be a little disingenuous. It seems now this outing of bad & sinful behavior, rightfully so, can quickly turn to sinful behavior itself. If we don’t hold each other, bloggers, authors and others, who profess to be believers, to account, in a biblical way. Which is what, at its core, is the problem with JMac/Harvest/Hybels/Willow/SBC/ECFA, et al. “last line of defense against evil and immorality / lying shyster / evil intent” These are moral judgments, in the hindsight of history might come out to be true but seem to be ungodly expressions, at this point, based on the facts represented in this blog post. I know God’s words are sobering to me, as I do get angry when my loved ones are wronged and when I see injustice. David, I can appreciate this point of view and the scriptures. This man is supose to be a professional – it seems that he is very well paid. I don’t buy that your points that lead to a conclusion that this is not a big deal. What would you say if he was part of a team that operated on you wife/family member with as much sucess as monitoring HBC? This is an extremely upsetting time for a lot of people and many are asking where is the accountability? It doesn’t seem to be here, at GFA, or Mars Hill. How many other churches dark secrets have they missed? What are they doing to earn their fees? There needs to be as big a house cleaning at EFCA as HBC. This is the start of another big scandal – Remember just because they seem nice, white, professional and profess to be a Christian does mean that they are any of them. Of course everyone needs to hold everyone else accountable. I also think it’s a fair thing to hold you accountable as well. If you think someone here has sinned by pointing out that this guy was engaged in some fraudulent activity, at least regarding his credentials, then by all means tell us how and where, and be specific. Otherwise, we’re going to (rightfully) think that you just want people to shut up and stop shouting the truth from the rooftops (which is kind of a Jesus thing, isn’t it? ), and that would, of course, be wrong and sinful itself. Crooks upon scammers upon cheaters but they all know how to look and sound pious. This is all so disheartening, but I resolve to press on for Jesus–not for status or riches, but for Jesus. Who’s with me? Please tell me there are scores of believers out there who, imperfect as we are, seek to serve the Lord FOR the Lord. I’ve always thought there are. I believe there are. I hope there are. Please tell me there are. Mark ,there are people who are sold out for Jesus…God always has his remnant……the CHURCH just isn’t as big as we thought it was. Why is anyone surprised???? Isn’t Kansas the place where the tin man aka A Mr.Dan Busby (who lacks a heart) and Scarecrow aka HBC elder Steve Huston,(who lacks a brain) along with the Wizard of Oz aka Mr. MacDonald conceived how they would together Harvest everyone’s wallet? Jacob and Garyabby, thanks for making me smile . ECFA president Busby’s annual salary in 2017 was $254,979. Busby’s individual income is *more than four times* as large as a median USA household. Many Christians are below this median, probably at least 50% like the rest of the country. Here is yet again another example of how an elite “Christian leader” enjoys an extremely lucrative career; a career that is solely paid for by the hard, honest labor and sacrificial giving of sincere Christians (many of whom have lower incomes). This whole ECFA organization is unnecessary and a waste of money. Window dressing for ministries, at a price. Christians have been suckered and scammed and guilted from their money for too long in many astonishing ways, as the HBC debacle has demonstrated. How much REAL ministering happens in today’s mega-charities and mega-churches? My opinion: Most of the money is siphoned off or wasted by predatory leaders who live country club lives, while only a few cents on the dollar trickle down into true beneficence. Real ministry is done by the dedicated, over-worked, underpaid or volunteer Christians who care about others and are living life in the trenches with each other. So, I propose we dispense with all the Evangelical Industrial Complex overhead, and just do church simply. It will cost a lot less and more will get done. Very sad but looks like Julie will never run out of material to write about. The line between right and wrong has become blurred. Black has blended w/ white and grey is the accepted norm. Biblical principles has been set aside for compromise. Now Dan Busby must do the honorable thing and resign for the integrity of ECFA. If not, he must be dismissed immediately or all the Christian organizations that rec’d the ECFA stamp of approval will suffer loss in donations. HBC offering is down 40 percent and ministries have suffered. ECFA must do the right thing and protect the many for the sake of the one. It’s to late The ECFA stamp of approval means nothing now…The real question is why isn’t HBC’s Giving down to Zero…..I can barely believe that there’s 60% still giving to HBC, I think P.T Barnum was a little off, there’s not a sucker born every minute ,Theres a sucker born every second. It’s mind-boggling how people continue to stay at Harvest when there are plenty of other healthy Bible-believing, God-honoring churches throughout Chicagoland. I think people have convinced themselves that by staying at Harvest, somehow it brings glory to God. To the contrary, I am earnestly praying for members of Harvest to flee Harvest Bible Chapel and make their way over to healthy churches quickly. And in doing so, maybe, just maybe they will see how God will be glorified in their leaving Harvest. I wonder if folks at HBC have ever considered that by allowing Harvest to quote-unquote die, they may actually align themselves with what pleases the Lord—By helping people make sense and let go of what’s past; advancing healthiness and holiness in the Church today; and serving as a stern warning to leaders in churches of tomorrow who shirk their responsibilities to the Lord and ultimately seek to serve themselves over serving others. doors remain open, the more heartache they are going to be in for. I may be wrong, but the people of HBC may be fighting against the Lord God Almighty Himself who is far more interested in purifying His Church than propping it up, particularly when people of power continue to conceal and cover up all kinds of transgressions against the Lord. Dan Busby needs to resign, and resign today! He is part of the evangelical machine that is producing the canker sores to the world. Sad! temple, the so called court of the Gentiles. Much trading was going on there. profit. I don’t want to point figures at any minister, author, artist or company. Every one of us including myself will give account for his doings to God, not to me. feel seeing the practices of many “ministries” today: “buy 5 books get 1 for free. Here I have the truth of the Word. Only 10 $ today. The hardbound is 50% down. world to see, giving also any royalties away. Freely you received, freely also give! Why is franklin graham untouchable? Because he’s Billy Grahams son? It is amazing isn’t it ! I think it shows quite clearly for all of us that the relationship is with the “church” not the “HEAD” The “HEAD” says to” Come out from her and be ye separate and touch not the unclean thing and I WILL RECEIVE YOU and be your Father and you shall be my sons and daughters. It only took one disobedient moment in the garden to send the rest of us in need of the Savior. Disobedience is sin and sin separates us from God.When we are separate we cannot “hear” properly. There is always an element of truth in most everything, does our enemy know the truth? You bet! Are his ministers transformed into preachers of righteousness? ABSOLUTELY! By their fruit you shall know them…… were good things done at harvest? ABSOLUTELY! BUT good and evil are from the SAME tree, I have come to understand that very few are eating from the other tree…. The tree of LIFE ! The tree of life could possibly be found in small home groups where the WHOLE truth of God’s Word is shared among equals , no big shots,no names , perhaps just believers that truly love one another that is when one knows they have passed from death unto life. Breaking bread and caring for each individual individually. Working out our salvation with fear and trembling Phil 2:12 because narrow is the way that leads unto eternal life. Jesus said clearly “you cannot serve God and Mammon” KJV , mammon IS the world system not maybe, IS. Is North American church , specifically harvest a business in the system? ABSOLUTELY! One might think they are known , but could God look upon His son as He was sacrificed for us? NO! Unless somebody is extraordinarily busy or unless they have their head very deeply planted in the sand, people sense that something is going on in the world and in the church today. Through it all, the most important thing, indeed ultimately the only important thing, is to use this time and these situations to follow Christ more closely and not to move away from following Him. That is the standard for all of us. Ray, the main issue is that Dan Busby stated that he was a CPA which he wasn’t, thus that is fraud. Say that it was not for personal gain, he still lied. 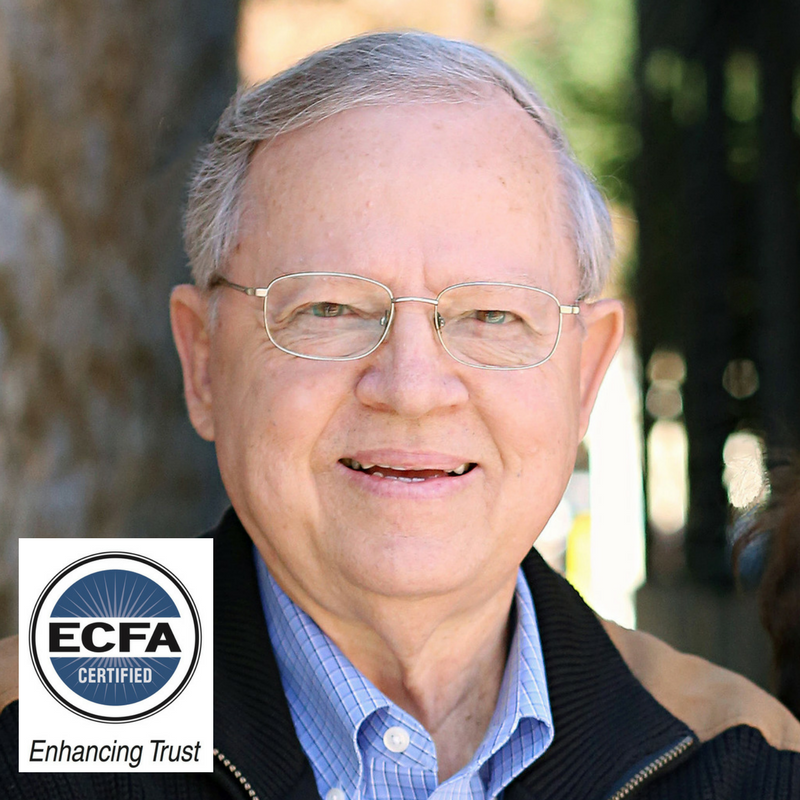 As president, he reflect both Jesus Christ and the ECFA. Would you trust this man to do your personal taxes and represent you to the IRS if you were audited? So you’re claiming he didn’t make a penny off the books? That in no way were they or the success of the sales thereof in any manner tied to his compensation? Fascinating. By the way, if he in no way benefited from falsely claiming to be a CPA, why did he do it, Ray? That statement is misleading. Please provide the source. Busby split the royalties on books sold thru ecfa.org which was disclosed in ECFA newsletters edited by Busby. There is no evidence of a fee split on books sold OUTSIDE of ecfa.org – e.g., amazon.com, bn.com, and every other place books are sold. So Busby can’t truthfully claim he had no profit motive. However, it wasn’t just the cash, it was also the STATUS of being an author and an expert, and Dan Busby CPA was splashed prominently across the book covers as an inducement to buy and admire the author’s false credentials, which gave him more speaking gigs, too. Busby chaired a committee before the U.S. Congress based on his false reputation and position.